Edmund Morris’s Roosevelt trilogy is one of the best biographies in modern literature. “I have already lived and enjoyed as much life as any nine other men I have known,” retorted Theodore Roosevelt when warned that his journey down Brazil’s mysterious Rio da Duvida could prove fatal. For TR, such cavalier boasts were typical but true. Few public figures in American history bestrode the world’s landscape, both natural and political, or hurled themselves in front of more bullets, figurative and literal, than Roosevelt. None could match his unstinting exuberance for life. And no biographer has given him such correspondingly grand treatment as Edmund Morris. Over three decades, Morris has registered the stages of Roosevelt’s life in an operatic arc: The Rise of Theodore Roosevelt chronicled the ascension; Theodore Rex the apotheosis; and the newly released Colonel Roosevelt the decline. The concluding volume in the series, like its predecessors, is epic in scope and vast in detail. Though it only covers a fragment of its subject’s life (1909–19), the book still checks in at almost 700 pages. Accordingly, those seeking a concise Roosevelt biography must look elsewhere. But they should be advised that they would do so at a cost. No matter how embroidered the book might be, in Morris’s hands seemingly superfluous details—from the notes of the birds in Oyster Bay, to errant zebras on the Taru plateau, to the sweat-stained shirts at the 1912 Republican convention—transform biography into verse. And in the case of Colonel Roosevelt, the verse is most often melancholy. Of course, given the subject, there is no shortage of death-defying adventure, political intrigue, and megalomania. But it’s also a story of unrealized ambitions, the steady march of time, and ultimately, loss. When last we saw him, in the final pages of Theodore Rex, the Colonel (the appellation he preferred over president) happily sped away from Washington, admiring well-wishers chasing his train, as his hand-picked successor William Howard Taft headed to the White House. Colonel Roosevelt opens a month later as the ex-president stalks through Africa, collecting specimens for the Smithsonian and New York’s American Museum of Natural History, and subsequently heads north for a rapturous reception from Europe’s heads of state. In summer 1910, he set sail for home as the most famous and admired man in America, if not the world. He had reached the apex of his influence and prestige. Most expected, and many hoped, that he would return to the presidency. Despite his public protestations otherwise, Roosevelt shared those hopes. The desire to return to power led Roosevelt to challenge Taft for the GOP nomination in 1912 and then, after failing in this quest, to bolt from the Republican Party and launch a quixotic bid for the White House at the helm of the Bull Moose Party, whose progressive platform suited his reformist ideology. In the process, he shipwrecked his former party and destroyed his close friendship with Taft, whom he attacked relentlessly, and whose shaky candidacy he doomed to defeat at the hands of Woodrow Wilson. Political ambitions temporarily squelched, Roosevelt performed the quadrennial ritual of swearing off politics—or at least his own stated ambition to hold office—and returned to something resembling private life. It’s telling of both the subject and the author’s range of interests that the most engrossing sections of this presidential biography capture Roosevelt’s feats outside the political arena. He poured out magazine articles and books, displaying expertise on a dizzying range of subjects. He trotted the globe, absorbing and devouring other cultures and their customs, though always remaining firmly convinced of his own country’s preeminence. Despite his advancing age, his thirst for danger and discovery remained. So much so that in 1913 he embarked on a perilous expedition down an uncharted Brazilian river, and, stricken with malaria, nearly died mid-journey. But in typical fashion, shortly after the trip’s conclusion he bounded off to Washington to defend the trip before a crowd of scientific doubters at the National Geographic Society. In rare breaks from the action, he held court at his estate, Sagamore Hill, where he and his beloved wife Edith proudly watched their children grow into adulthood. But the call of national affairs, and potentially the presidency, intervened. As war erupted in Europe in 1914, Roosevelt watched with worried interest. He, more than Wilson, understood the Continent and the dangers a protracted struggle there posed to the United States. Initially out of respect to the sitting president, he remained publicly neutral. But as the war raged on, appalled by Wilson’s inaction and the Central Powers’ mounting atrocities, he raised his voice. Gladly accepting the role of Cassandra in a country that wanted no part in the war, Roosevelt adamantly insisted that the U.S. begin to prepare for its inevitable entry into the conflict. Dispensing with the tradition of ex-presidents’ deference to their successors, he criticized Wilson (as he had Taft in 1912) with a ferocity that would make Jimmy Carter wince. And, his more controversial progressive urges ebbing, he reconciled with the Republican Party and attempted, unsuccessfully, to outmaneuver Charles Evans Hughes for the party’s nomination in 1916. Roosevelt was, as it turned out, correct about the inevitability of American involvement in the war. By 1917 American boys were headed to Europe. The Colonel wanted to join them for one more glorious charge, and he pressed Wilson for a commission to lead a volunteer battalion into combat. The president, whom Morris presents as an aloof and analytical master of politics, politely declined the request. But if the old lion could not join the fight, at least his cubs would. Wilson’s war department, much to Roosevelt’s delight, was willing to send his four sons off to the front. All fought with typical Rooseveltian bravery, but only three returned home. Quentin, the Colonel’s youngest and favorite son, was shot down in the French skies. The loss broke his heart. Mounting ailments, some natural, others brought on by the course of a strenuous life and a parent’s grief, hastened his decline. The final chapters, leading up to Roosevelt’s death in 1919 (with, fittingly, the 1920 presidential election on his mind), are elegiac without resorting to melodrama or exaggeration. Masterfully researched and detailed, Morris’s book lets history speak for itself. And instead of providing a hagiographic ending, Morris extends the story into the present day, where Roosevelt—the man, not just the president—is judged, despite his many faults, as a towering figure. During World War I, French prime minister Georges Clemenceau wrote that “The name Roosevelt has this legendary force in our country at this time.” That this verdict has carried down to the present day is in no small part thanks to Edmund Morris. Colonel Roosevelt and its predecessors, cumulatively constituting one of the finest biographies in modern literature, have shown why the name Roosevelt will remain a legendary one. Ryan L. Cole writes on politics and culture from Indianapolis. 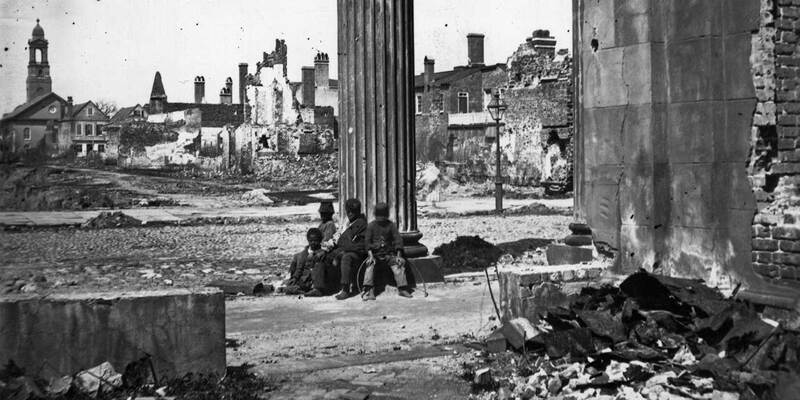 Ryan L. Cole A gripping new book examines the folly of Charleston, a city enraptured with revolt, in 1860. Ryan L. Cole David McCullough brings the Wright Brothers’ story to life for our time. Ryan L. Cole A new book explores how Robert E. Lee squandered his connection to America’s most revered figure.